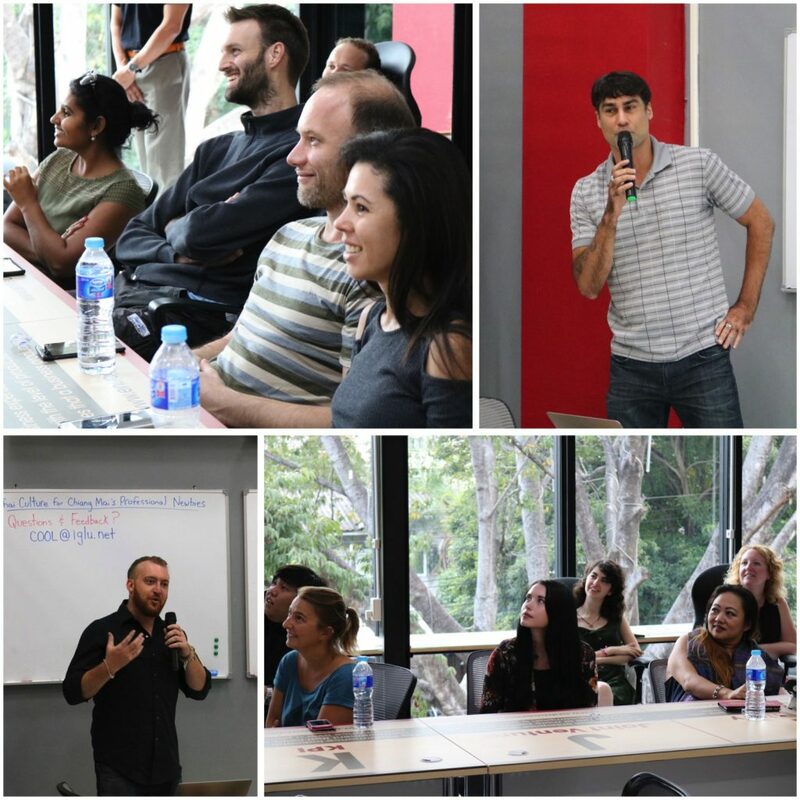 On November 8th, 2017 “Iglu Presents: Thai Culture for Chiang Mai’s Professional Newbies” was hosted for newcomers in the city at the all-new Entrepreneurship Center, a co-working space and business training facility conveniently located on Nimman Soi 11. It was a FREE event for the community designed to inform recently arriving foreigners about Thailand’s rich culture and societal norms, to help attendees better understand, respect and integrate in their new surroundings. It was an excellent opportunity for people to ask questions on a variety of topics including: Thai people, language, religion, the monarchy, greetings, family, status, attitude, face, nicknames, gender roles, food, drinking and drugs, dating and marriage, entertainment, sports, festivals and holidays, taboos and how all of these can affect one’s personal and professional life. With a lively discussion throughout the event, Iglu and The Entrepreneurship Center hosted 40+ people, all itching to learn more about the community they have recently joined. Iglu would like to thank those in attendance and we look forward to hosting more events like this one, to help make Thailand easy for all international professionals.